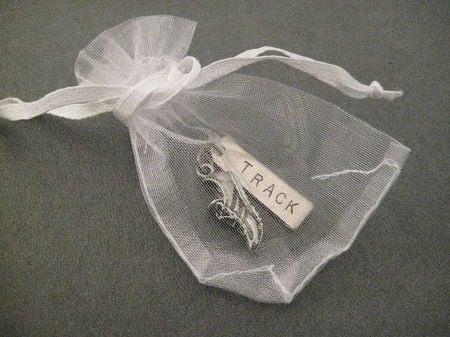 RUNNING SHOE TRACK SET Included ONE (1) Pewter Running Shoe Charm AND ONE (1) 1/4 x 1 inch hand hammered nickel silver charm hand stamped with your TRACK DISTANCE or EVENT. 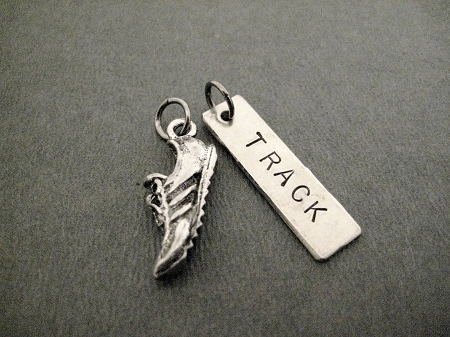 Running Shoe Charm and TRACK DISTANCE or EVENT Pendant will each include a gunmetal jump ring. 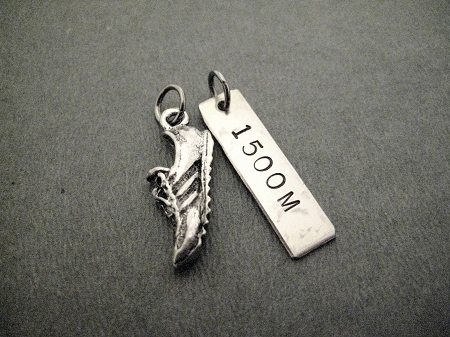 Pewter RUNNING SHOE Thin Side View Detailed Runner Shoe Charm measures 3/4 inch long (8mmx22mmx3mm) and included a gunmetal jump ring. 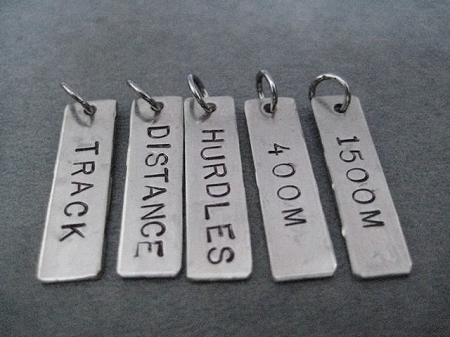 TRACK DISTANCE or EVENT Pendant is hand hammered and hand stamped, measures 1/4 x 1 inch and includes a gunmetal jump ring. 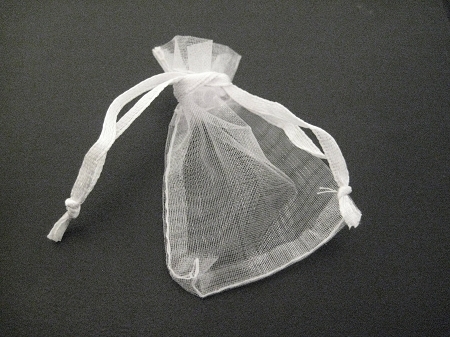 If purchased without another item from The Run Home at the same time, your CHARM SET will arrive to you tucked inside a small organza bag then placed inside a manila bubble mailer for safe shipping.